Don't miss out on a long-neglected superfood. With the latest study from the University of Connecticut the evidence of beneficial (heart-)health effects of increased egg consumption keep accumulating - and this time, we are up to three eggs per day in healthy subjects. The latest study from the University of Connecticut adds to the previously discussed health benefits of eggs. Starting with the important and scientifically warranted premise that HDL function may be more important than HDL concentration in determining risk for cardiovascular disease, the authors Diana M DiMarco, Gregory H Norris, Courtney L Millar, Christopher N Blesso, and Maria Luz Fernandez conducted a study to confirm and quantify the previously observed increases in HDL and LDL particle size, LCATactivity, and plasma apoAII and carotenoid concentrations in unhealthy populations, in a group of 40 men and women 40 men and women [age 18–30 y, BMI (in kg/m²) 18.5–29.9] who were - hopefully just like you - perfectly healthy. Before the dietary intervention began, the participants underwent a 2-wk washout period, during which 0 eggs/d were consumed. This baseline period was followed up by sequentially increasing intake of 1, 2, and then 3 eggs/d (large, grade A, white purchased at local supermarkets) for 4 wk each; and before you ask: no they were not told to either hard-boil, soft-boil, fry or scramble them. Figure 1: Overview of the intake sequence (DiMarco. 2017). Aside from egg intake, participants were instructed to maintain their normal dietary habits throughout the study. The effects were then accessed based on fasting plasma (30 mL) that was collected at the end of each dietary period, and serum (10 mL) that was collected after intake of 1, 2, and 3 eggs/d. Figure 2: The antioxidant concentration in the subject's plasma increased linearly w/ every egg. In that, it is probably worth pointing out that more helped more, significantly benefit of the highest number of eggs (i.e. 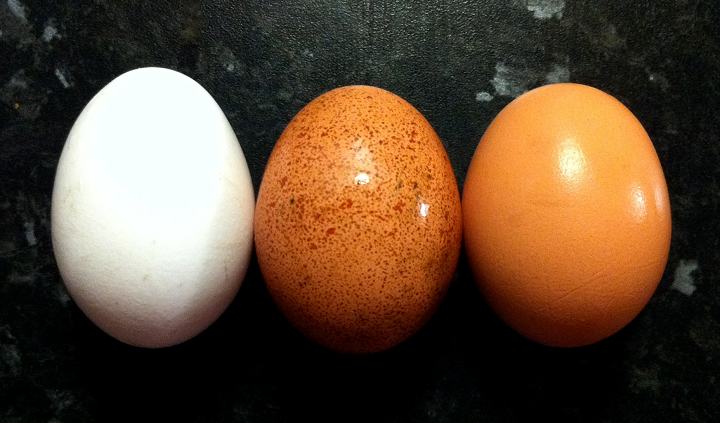 of 3 vs. 1-2 eggs) was yet only observed for the subjects' PON-1 levels, i.e. the levels of an enzyme that's responsible for hydrolyzing organophosphate pesticides and nerve gasses and has been shown to be a powerful anti-atherosclerotic (=protection against cardiovascular disease) component of high-density lipoprotein (HDL | Getz. 2004). From Villain to Savior? We have been told for decades that cholesterol was killing us. As it turns out, that was wrong. It would be a mistake, however, to go from "cholesterol kills" to "cholesterol does not matter at all", overnight. After all, the cholesterol hypothesis of heart disease has not been completely falsified. Rather than that, it has been refined with particle sizes, ratios of LDL/HDL, HDL/triglycerides, apoA-X levels, etc; and if you include these variables in your assessment of the health effects of eggs, the small increase in LDL and total cholesterol, of which Ancel Keys still believed that it would kill you, is significantly less important for the heart health of people who don't belong to a genetically determined risk group than the beneficial effects on these parameters. What the egg intake did not do, was to affect the cholesteryl ester transfer protein (CETP) activity. This may seem bad in view of the fact that one of the functions of CETP is to exchange the cholesterol esther load from VLDL and LDL for that from HDL, but scientific evidence that more CETP would increase your life expectancy or decrease your heart disease risk is not available. 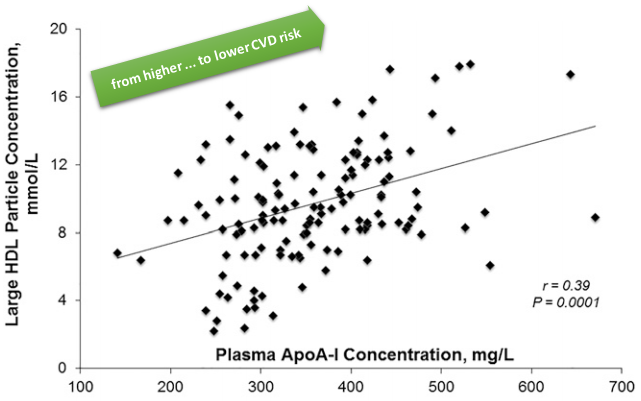 Figure 3: Just as in previous studies, there was a correlation between increased ApoA-I concentrations (DiMarco. 2017) and the number of large HDL particles - both have been associated w/ reduced heart disease risk. What we do know, however, is that rare mutations leading to a significantly reduced function of CETP have been linked to accelerated atherosclerosis. While a polymorphism (I405V) of the CETP gene leading to lower serum levels has been linked to exceptional longevity (Barzilai. 2003) and to metabolic response to nutritional intervention (Darabi. 2009). Since the same mutation will yet also increases the prevalence of coronary heart disease in patients with hypertriglyceridemia, I guess it's actually good news that CETP didn't change over the course of the 3x4-week intervention, of which I should probably mention that it was funded by the Egg Nutrition Center. Is the fact that the study was funded by the Egg Nutrition Center bad news? Probably not, after all, it is very unlikely that the scientists would have gotten public funding for a study in (a) healthy subjects that (b) served its subjects three eggs a day, not per week as it has been done in most of the previous experiments. Plus: Their conclusion, which is where you will usually find evidence of a bias if there is one, is neither exaggerating nor misrepresenting their findings: "Overall, intake of ≲3 eggs/d favored a less atherogenic LDL particle profile, improved HDL function, and increased plasma antioxidants in young, healthy adults" (DiMarco. 2017). So, what should I remember? 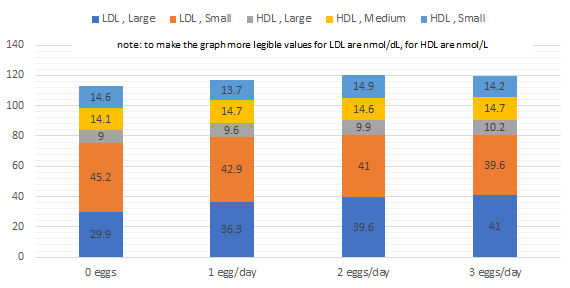 It's not just that you can have your egg(s) and still be healthy, it's rather that you can have your (at least three) eggs (per day) and thus be healthy - heart-healthy, as this particular study with its improvements in particle sizes (those have been linked to reduced risk of heart disease - 55% reduced w/ fluffy LDL in Lamarche. 2001; and Williams et al. (2012) show that a higher concentration of the larger, more buoyant HDL is closely associated with decreased CVD risk), cholesterol efflux and transport, as well as the total antioxidant status of the subjects' blood shows. I agree, it would be nice to have a 12-months extension to the study, but eventually it is very unlikely that the medium-term benefits would turn into downsides in the long run. Against that background, I personally am more disappointed that we still don't have the study/-ies to access any potential differences in the health effects of soft- vs. hard-boiled, scrambled and fried eggs. Based on what you've learned about oxysterols in my old article on cholesterol oxidation during cooking, though, you are better off if the yolk is still soft... and let's be honest: it's also tastier | Comment! Barzilai, Nir, et al. "Unique lipoprotein phenotype and genotype associated with exceptional longevity." Jama 290.15 (2003): 2030-2040. Darabi, M., et al. "Cholesteryl ester transfer protein I405V polymorphism influences apolipoprotein AI response to a change in dietary fatty acid composition." Hormone and metabolic research 41.07 (2009): 554-558. Getz, Godfrey S., and Catherine A. Reardon. 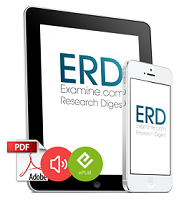 "Paraoxonase, a cardioprotective enzyme: continuing issues." Current opinion in lipidology 15.3 (2004): 261-267. Kapourchali, Fatemeh Ramezani, et al. "The Role of Dietary Cholesterol in Lipoprotein Metabolism and Related Metabolic Abnormalities: A Mini-review." Critical reviews in food science and nutrition just-accepted (2015): 00-00. Lamarche, Benoit, et al. "A prospective, population-based study of low density lipoprotein particle size as a risk factor for ischemic heart disease in men." The Canadian journal of cardiology 17.8 (2001): 859-865. Williams, Paul T., et al. "The effects of weight loss by exercise or by dieting on plasma high-density lipoprotein (HDL) levels in men with low, intermediate, and normal-to-high HDL at baseline." Metabolism 43.7 (1994): 917-924. Williams, Paul T. "Fifty-three year follow-up of coronary heart disease versus HDL2 and other lipoproteins in Gofman's Livermore Cohort." Journal of lipid research 53.2 (2012): 266-272.